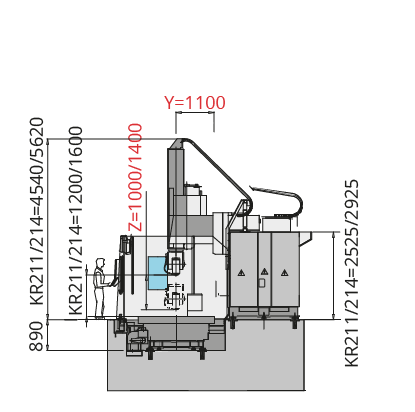 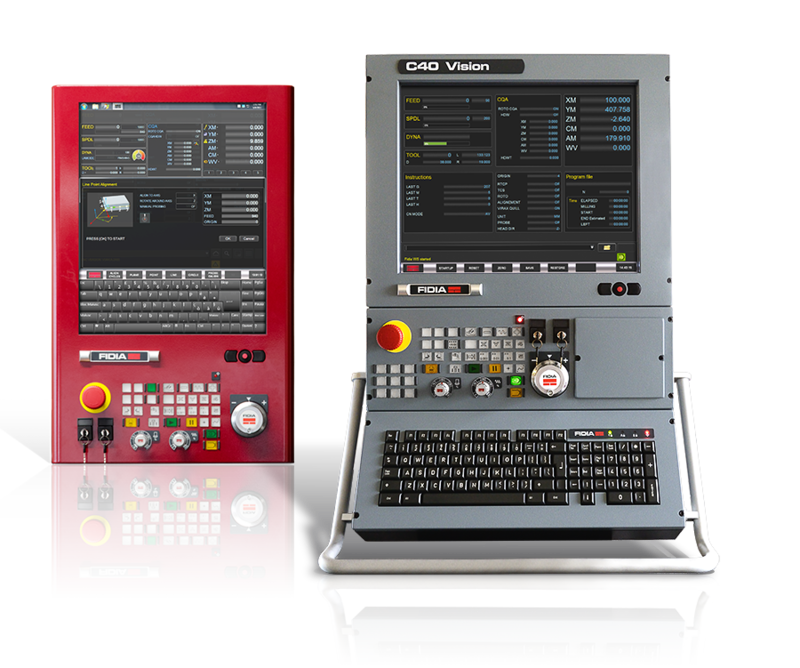 Machining of large dies and extra-dimensioned components are carried out efficiently by the KR configurations. 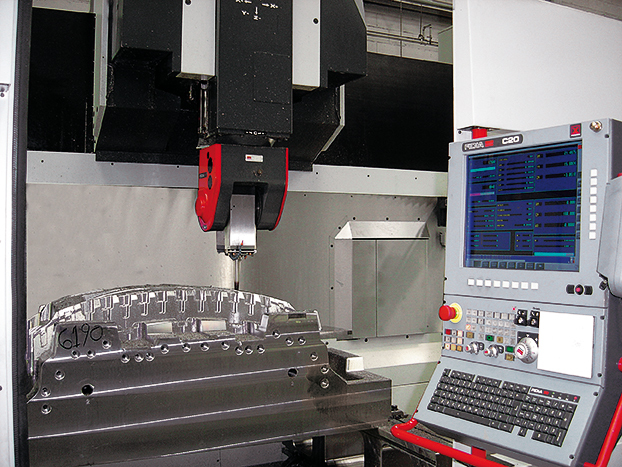 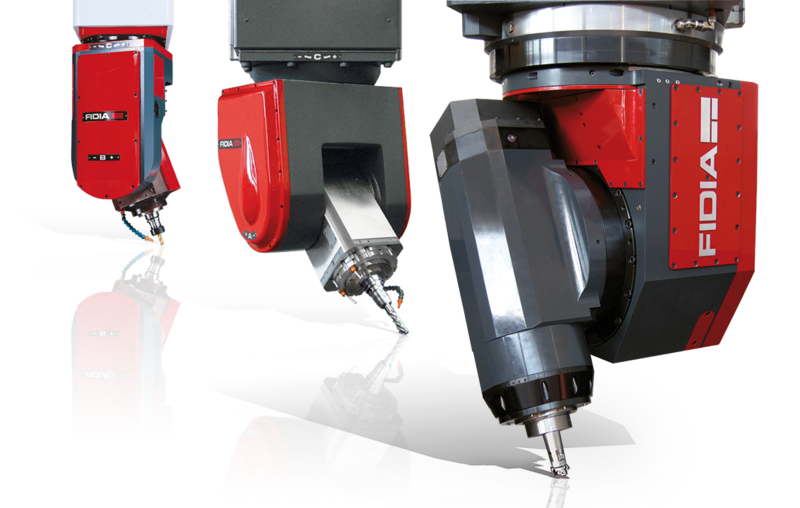 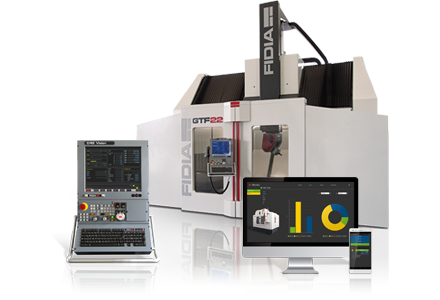 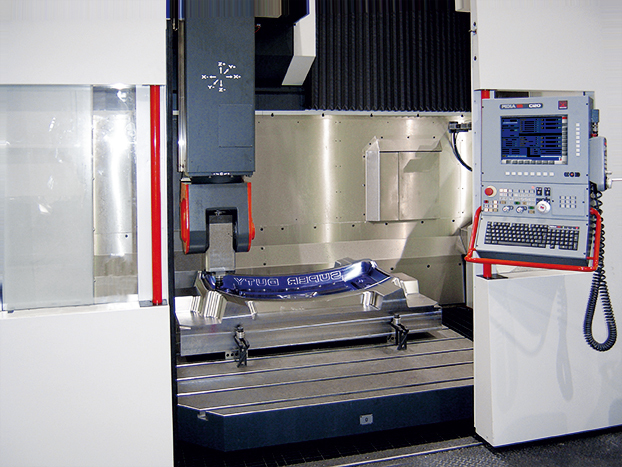 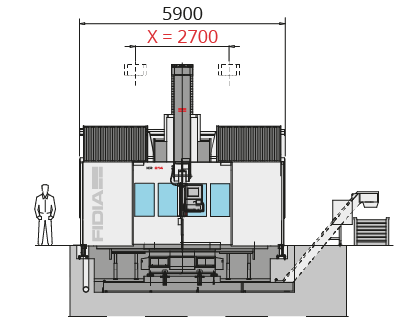 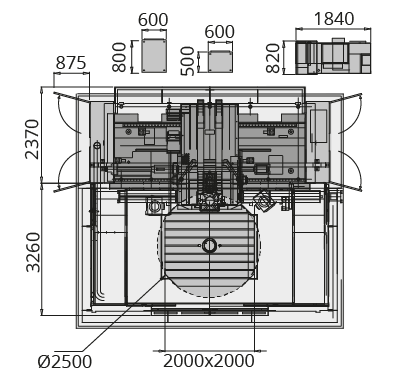 The use of the 6th axis as rotary workpiece table guarantees max accessibility from all sides. 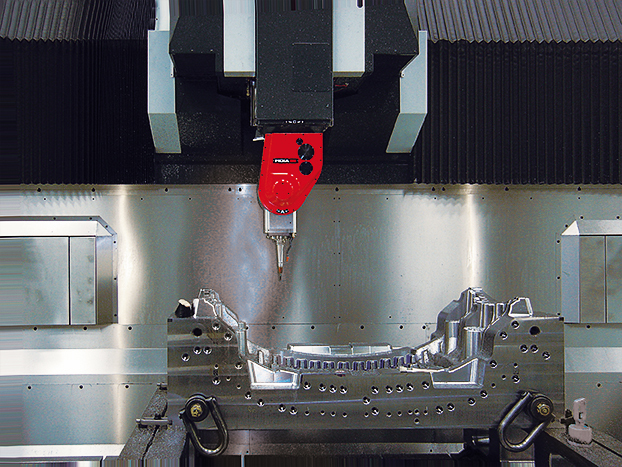 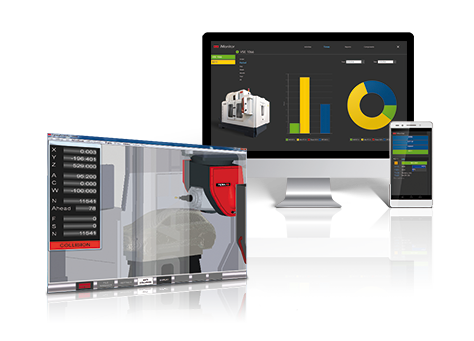 Head and table combined rotations are automatically handled by the NC by rotating the system coordinates. 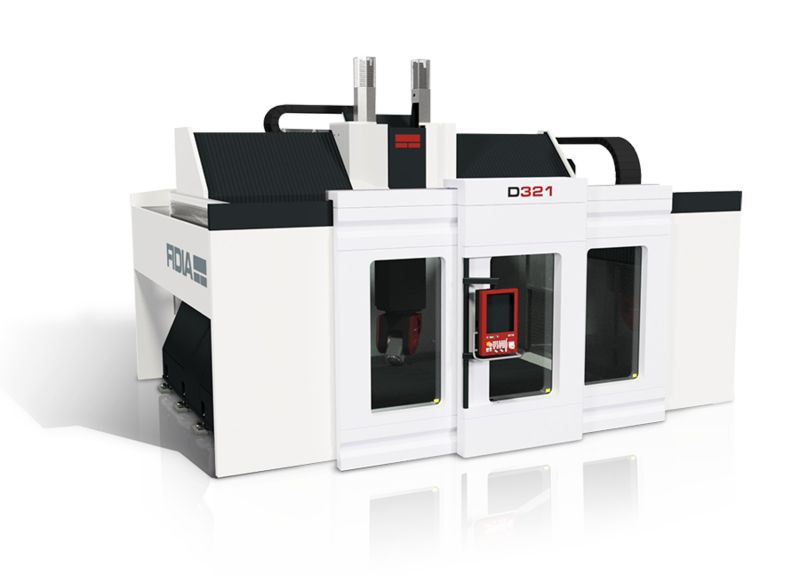 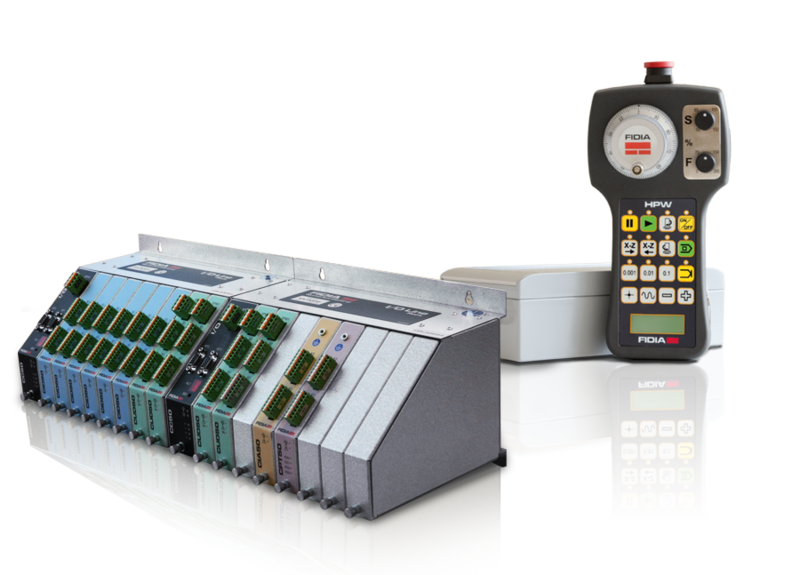 In just one placement it is possible to operate on a such working area that is usually offered only by bigger gantry machines.